We are 90 days past the Presidential election, the White House is firing off Executive Orders like an administrative Gatling Gun and Democrats are still wandering the halls of Congress gobsmacked that a guy that laquers his hair is the President of the United States. How could they have gotten it so wrong? The Presidency belonged to Hillary. Following in the footsteps of her predecessor, her election would be historic – the first woman President of the United States. She’d been a U.S. Senator, the Secretary of State and a former First Lady. She had the Democratic machine, the women’s vote, the minority vote, the union vote, the youth vote (after The Burn flamed out), and more money than the budget of several third world countries. And the polls…the polls promised her a win. How could they have been so wrong? In an interview after the election, Kellyanne Conway told the interviewer that their polls had pointed to Trump victories in Pennsylvania and other “Blue Wall” states. How is it that the Democratic pollsters got the wrong answer/s and Kellyanne did not? Could it be what survey questions were asked – how the questions were worded? Whether surveys are done for political races or business use in marketing, advertising or public relations, the wording of the questions is critical. There is a technology to this. But Elizabeth is not fine. She’s hungover. She had a fight with her boyfriend last night. “Fine” is a social answer to the question. The question did not elicit a true emotional response. If one does not word a survey question correctly, the answers will be wrong and the “hot buttons” elicited will miss the mark. The results of this election are sure to be analyzed like no other. Former Clinton campaign officials are still offering reasons for the loss. They run the gamut: the drip, drip, drip of the released emails from HRC’s insecure server; the death of the 4 Americans in Benghazi; FBI Director Comey’s letters to Congress about the email investigation; Bill’s sexual exploits and her defense thereof; the “pay for play” allegations about the millions received by the Clinton Foundation; her lack of warmth; her lack of honesty. And yesterday, I read an article in which one of the former Clinton campaign staff blamed President Obama for Hillary’s loss because he didn’t campaign enough for her. Without personally seeing the survey questions that were asked by the Clinton pollsters, I would not be surprised to find that they were not written in a way to get gut level answers to the questions. The point of this article is not to commence a debate about the political reasons Hillary lost the White House to Donald Trump. 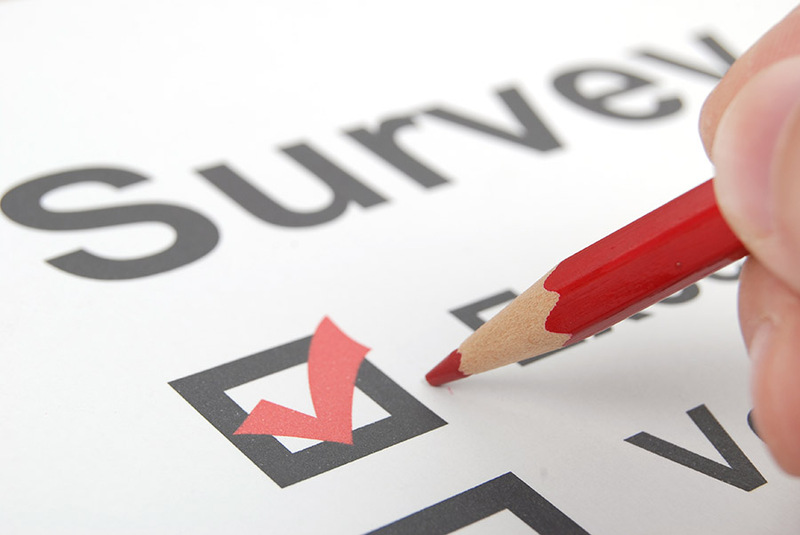 I am writing here about surveys, and making the point that it is critically important to write survey questions in such a way as to get honest answers – real answers – to the questions. You don’t want social answers to your survey questions. The buttons will be wrong and your marketing and PR campaigns will go askew. This is true whether you have hundreds of millions like the Clinton Campaign or you are promoting your real estate office in the San Fernando Valley. Keep this in mind when you need to have surveys done. And also keep in mind that we have been conducting surveys for political campaigns and businesses large and small for more than a quarter of a century. We are as close as your smart phone or a click of your mouse. We don’t ask social questions.